Pros: Easy to setup, control through one app. Cons: Limited compatibility, size, cost. When looking for a smart lock, there is one question you need to ask yourself: how do you want the smart lock to open? It's important for you to understand how to lock and unlock your smart lock. Does the lock open by just touching the lock or do you need to punch in a code? Or does the smart lock have some sort of combination of both types of technology? August Home is one of the few smart lock makers that offers you a variety of ways to lock and unlock your smart lock. One of the ways they offer you to lock and unlock your smart lock is by using August Home Keypad, a smart keypad that connects via Bluetooth to your August Smart Lock. You can control the keypad via the August Home app. We recently were given an August Keypad to test and here is what we found. 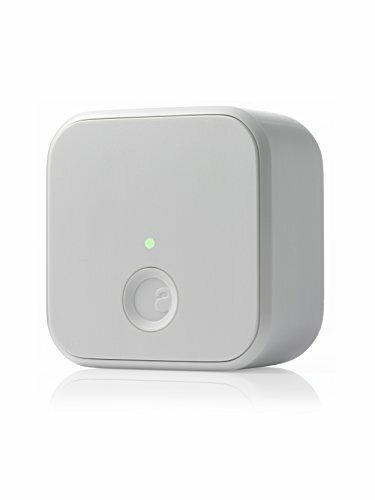 August Home Keypad is part of August Home's Smart Home Access Solution, a comprehensive package of connected devices that include August Smart Lock, August Doorbell Cam, August Connect (a Wi-Fi Bridge). August Keypad is the remote control for your August Smart Lock. It's a small device (1 x 2.9 x 0.9 inches) and is powered by two AAA batteries which will last up to three months. The Keypad can easily be placed outside the door with your August Smart Lock but you will need to make sure the device remains close to your August Smart Lock. 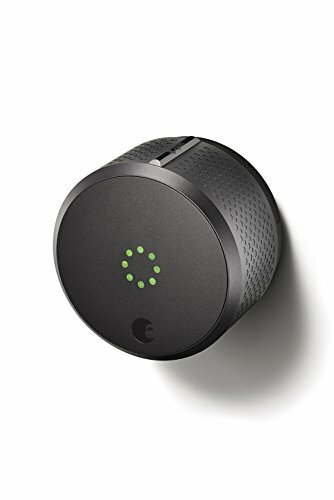 Remember the Keypad speaks to your August Smart Lock via Bluetooth so it needs to be within a 10 meter range of your smart lock. What GearBrain likes about August Keypad is how this device offers an additional way to lock and unlock your August Smart Lock. It turns your August Smart lock into a keypad type of smart lock. 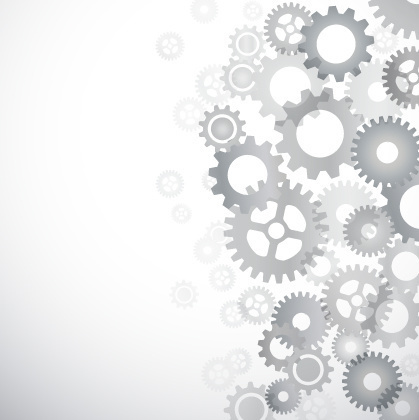 At GearBrain, we are big believers of having a backup plan for unlocking your smart lock. August Smart Lock has two ways of locking your smart lock, using your existing door lock key as well as using August Home app (Bluetooth). By adding an August Keypad to your August Smart Lock adds a third way to lock and unlock your smart lock. How does August Keypad work? It's very simple. As the owner of the keypad and using the August Home app, you can create codes for your guests. Once created, you can either email or text the codes to your family and friends. Now, they will be able to lock and unlock your August Smart Lock. In addition, at the bottom of the August Keypad is an August Home logo. By pushing this logo, you can easily lock your August Smart Lock. Also, on the keypad, the numbers are back-lit once you hit the first number or just the August Logo button at the bottom of the keypad. The light given off on the keypad is enough to see the lights in areas where bad lighting exists outside your doorway. The August Home app will be able to track who locks and unlocks your August Smart Lock. Whoever you give a code to will be tracked by the August Home app. If you have a dog walker or housekeeper—and give them an access code—you will be able to see if they came to your home. If you plan to use the August Keypad on your rental property or second home, you will be able to keep track of all entries and exits from the August Home app. All are nice features for today's smart homeowner. August Keypad is compatible with both iOS and Android devices and costs only $79. You can purchase August Keypad on August Home's site or via Amazon or other online retailers, like Walmart and The Home Depot. Is August Home worth $79? This depends on the type of smart lock you want and its function. If you are looking for a smart lock that offers remote access, is easy to install and uses keypad to punch in codes to gain access to your home, then August Smart Lock and Keypad are a combination you need to consider. 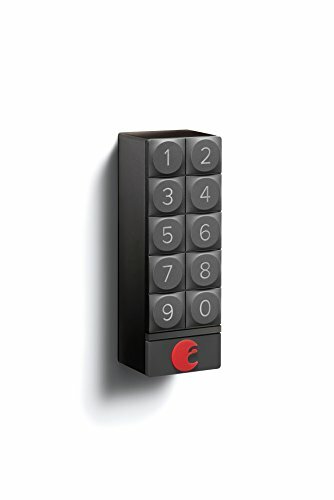 Also, the combined cost is on the high side when compared with what other smart lock manufacturers are charging for their keypad deadbolt smart locks. If you want a smart lock that you can use your smartphone to remotely control your smart lock from anywhere, August Home and August Connect is the combination you want, if you own an August Smart Lock. August Keypad would be overkill in our opinion unless you plan to use all three devices on your rental or Airbnb property. Connecting to a Wi-Fi Bridge costs anywhere from $79 to $99 (i.e. Kevo Plus is Kwikset's connection to your home Wi-Fi) while a third-party hub could cost around the same (i.e. Samsung SmartThings costs $99.) Another way to offer true remote access is by having a smart lock with a keypad and codes to lock and unlock your door. You just send special codes to your guests via text or email and they can unlock your smart lock using the keypad. There are several good smart locks that use keypads and cost in the range of $200 to $300 (i.e. Kwikset's Premis or Yale's Assure Smart Lock). With August Home, the combined cost for August Smart Lock and Keypad ($308) puts you at the high end of the smart lock range. You must decide if the cost is right for you and does this combination of smart lock and keypad meet your needs and the needs for your smart home. Do you have a dog walker, a house cleaner or a handyman who needs to access to your home while you are not there? Are you doing home improvements on a second home and need to give access to a contractor? If you said yes to any of these questions, then owning a smart lock will make your life easier and more efficient. But which one should you pick? 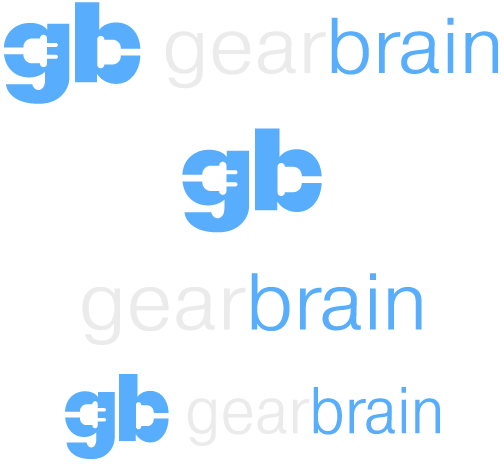 That's up to you to determine and we hope you'll let GearBrain assist you in your decision-making process. Smart locks are an essential connected device for today's smart home. These devices help you secure your home as well as keep track of who is coming and going. They also give you peace of mind knowing your home is protected, while also notifying you whenever someone enters or exists your home. We believe August Home offers consumers an effective product line of connected devices that can help secure your home. If you like the function and design of August Smart Lock, then August Keypad is a very good companion product for the August Smart Lock. The gadget provides you with another way to lock and unlock your smart lock and provide access to your guests seamlessly. Also, August Home makes good products that are easy to install as well as control via one app.